TITAN’s™ Spare Tire Auxiliary Fuel System (STAFS™) puts an additional 30 gallons of fuel at your fingertips. In most cases this doubles the fuel capacity of American-made diesel pickup trucks made after 1999. 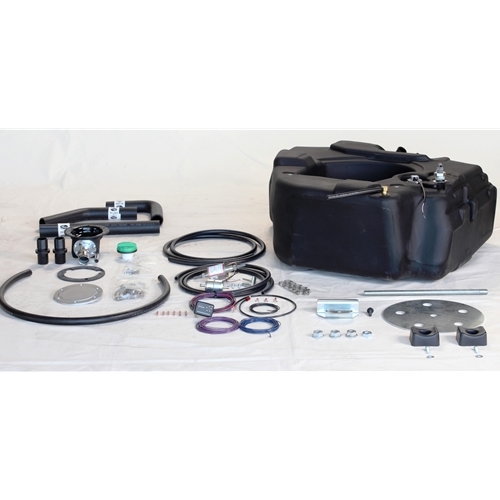 This innovative system is designed to re-purpose the space commonly used to stow a vehicle’s spare tire.